The Indian Flexible Packaging and Folding Carton Association (IFCA) held the IFCA Star Award 2018 on 6 February 2019, at MIG Club in Mumbai. IFCA is a national body addressing the needs of the flexible packaging and folding cartons industry for the last five decades. 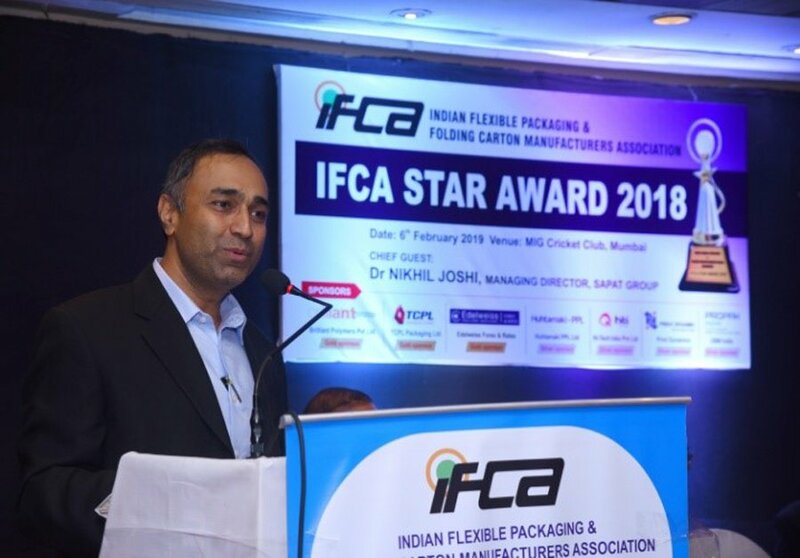 The IFCA Star Award 2018 was well attended by all the leading names in the flexible packaging and the folding carton industries. The awards were divided into various categories, including Flexible packaging: Innovations & creativity including shapes, new applications, new forms; Carton packaging: Innovations & creativity including shapes, new applications, new forms; Structural innovations, graphic designs; Enviro products; Associate industries like inks, adhesives, coatings, films, polymers: Innovations and new developments; Best branding through packaging and R&D achievements in packaging. Nikhil Joshi, managing director, Sapat Group was the chief guest for the evening. Suresh Gupta, president IFCA addressed the gathering and stressed on the need for innovation in packaging for all types of applications. He requested many more players to come forward and participate in the IFCA initiatives. RR Maheswari, vice president, IFCA addressed the gathering and stressed the need for innovative packaging with a focus on environmental concerns. He also reiterated the need for developing more of recyclable packaging, especially in flexible packaging industry. 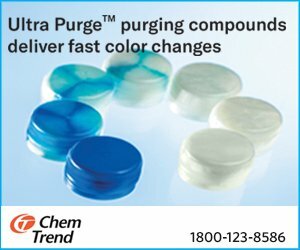 Joshi said the next few areas of focus for packaging industry could be circular economy where the balance of nature is maintained, digital platform which is powering changing ways of doing business, and the disruption in supply-chain model caused by the online services and changes in the way the consumers order from their smartphone rather than visiting physical stores. There is a great opportunity in developing packaging for the changing supply-chain model and it can supplement the circular economy by going back to the nature, Joshi said. 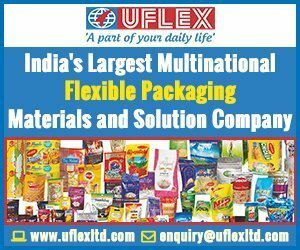 A total of 73 awards were given during the function, with ITC bagging the highest 13 awards followed by Huhtamaki-PPL with seven awards, Uflex, Umax Packaging, Orient Press, TCPL Packaging receiving six awards each and Parksons Packaging winning five. The other winners were Yogeshwar Polypax with three awards, Cosmo Films with two, Brilliant Polymers with two, Shako Flexipack with two and Paharpur 3P, also with two awards. 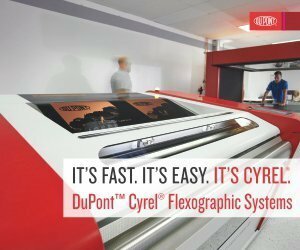 The companies who won one award each include Multiflex Polybags, Print Dynamics, Sweet Industries, Balaji Multiflex, Michelman, Shilp Gravures, Pack Point-Jodhpur, Atlas Converting Machines, Maker Polyfilms, Techno CNC, Cipla Ltd, Hi-Tech Inks, and Safepack Industries.